The Department of Labor has released a slew of guidance on the application of the Mental Health Parity and Addiction Equity Act of 2008 (MHPAEA) under group health plans. Although the guidance plows no new ground, it supplies helpful reminders and several examples reflecting how plans should administer MHPAEA requirements. Lockton comment: We have been expecting additional guidance on MHPAEA now that the ACA regulatory fervor has subsided. MHPAEA is confusing for many employers given the two tranches of tests it imposes to assess quantitative (QTL) and nonquantitative (NQTL) treatment limitations under the health plan and the extent to which those limitations for medical and surgical benefits might differ from the limits for mental health and substance use disorder benefits. QTLs are things like deductibles and other cost-sharing amounts, while NQTLs are things like pre-authorization and step therapy requirements. The guidance includes new proposed FAQs, a self-compliance tool, a fact sheet and an action plan for group health plan insurers and sponsors. The DOL’s new FAQs reiterate, with specific examples that reinforce previous guidance, the permissible application of NQTLs to mental health and substance use disorder benefits. The FAQs reflect several specific instances where plans, on their face, imposed the same limitations on medical and surgical benefits as on mental health and substance use disorder benefits, but in practice, the limitations differed. For example, a plan applied an experimental treatment exclusion for applied behavioral analysis of autism spectrum disorder more stringently than for medical and surgical treatments. Another applied a stricter standard under the Hayes Medical Technology Dictionary (a private medical assessment tool) to mental health treatments than it did for medical and surgical treatments. Not surprisingly, the DOL indicated those limitations are not permissible under the MHPAEA. The DOL drew similar conclusions in examples where, on its face, the plan provided the same limitations for all treatments but in practice, mental health and substance use disorder benefits were available under a stricter standard than the standard applied to medical and surgical treatment. For example, prescription drug limitations can be tied to the use of pharmacy and therapeutic committees in the evaluation of the professionally recognized treatment guidelines. If so, they must be applied for mental health and substance use disorder treatment in the same way that they are applied for medical and surgical treatment. That means that the committee members must be equivalent in their expertise and their evaluations of the nationally recognized treatment guidelines must also be equivalent. Ironically, the FAQs are quite clear that plans can have a general exclusion for some conditions (bipolar disorder, for example) without violating the MHPAEA since the exclusion is not a treatment limitation. Lockton comment: This is an important point because a federal court ruled recently (and incorrectly, we think) that an exclusion for treatment of some mental health conditions was itself a treatment limitation that needed to be assessed under the MHPAEA’s parity guidelines. We, and most benefits compliance experts, believe the MHPAEA does not affect a plan sponsor’s rights to exclude from a plan’s covered services treatments of certain disorders. Of course, state law can (and frequently does) dictate coverage mandates for specific mental health and substance use disorders. The DOL guidance makes clear that a plan’s criteria for medical necessity determinations with respect to mental health and substance use disorder benefits must be made available upon the request of any current or potential participant, beneficiary or contracting provider. In addition, under MHPAEA, the reason for any denial of reimbursement or payment for services with respect to such benefits must be made available to participants and beneficiaries. Presumably, a typical “explanation of benefits” (EOB) could and should be used for that purpose, but most EOBs are not as comprehensive as the FAQ contemplates. Lockton comment: Most EOBs are notoriously short on explanations for a claim denial and do a poor job of making references to specific plan provisions on which the denial is based, as required by ERISA. The new MHPAEA guidance suggests plan sponsors may wish to dialogue with their insurers or third-party administrators to ensure they’re supplying adequate explanation of a claim denial, particularly if the claim is for mental health or substance use disorder benefits. In its FAQs the DOL mentions a case where the plan’s network provider list had not been updated for at least three years. The FAQ notes that is impermissible under ERISA, as ERISA requires summary plan descriptions (SPDs) to provide a reasonably accurate description of the provider network. The list must be refreshed and included in any updated language within 210 days after the calendar year in which the change was made (210 days is the deadline for supplying a summary of material modifications or, alternatively, an updated SPD). The plan is required to make accurate provider directories available online; a hyperlink or URL in the SPD is a permissible disclosure under ERISA. Lockton comment: The DOL permits SPDs and other ERISA-required documents to be supplied electronically where the participant has routine access to the employer’s e-information systems as an integral part of his or her duties, or where the participant consents to electronic receipt. 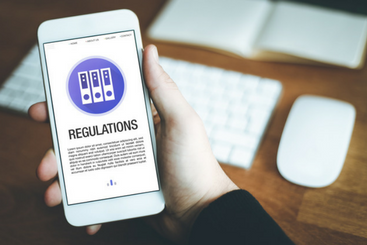 The DOL included in its recent guidance package a self-compliance tool to assist employers with an analysis of their MHPAEA compliance. It is comprehensive and an excellent primer on the rules for and analysis of any QTL or NQTL. In 2017 the DOL conducted 187 investigations of potential MHPAEA violations in group health and identified violations in about half of those investigations. The DOL will continue providing data on its investigations and intends to establish dedicated MHPAEA enforcement teams to conduct investigations of behavioral health organizations and insurance companies. The fact sheet reiterates that if violations are found by a DOL investigator (generally as a result of an inquiry from a plan participant) the DOL will require the plan to remove the offending provisions and pay improperly denied benefits. The investigator will then work with the plan service providers to determine if there were other improperly denied claims and seek to correct those as well. The fact sheet did not address any assessment of an excise tax under tax code Section 4980D(b), but those could total $100 per day per affected individual. Medical necessity: Claim denied, and plan refused to provide criteria for medical necessity (claiming the information was proprietary). MHPAEA investigator contacted the plan and outpatient therapy was approved for payment after a second review, totaling $48,000. Restrictions on residential treatment: Annual day limit for residential treatment for substance use disorders was not permissible. Previously denied claims were resubmitted, totaling $74,165. Different copayment: Mental health treatments had a $25 copay while other specialist visits were $20. The $5 difference was refunded to affected plan participants, totaling $11,340 for plan years 2011 to 2016. No out-of-network coverage provided: Mental health treatments for out-of-network providers were denied. Fifty-two claims were reprocessed, totaling $24,152. Employers continue to seek clarity on MHPAEA rules and their application to their health plans’ benefits and treatment limitations, particularly NQTL limitations with respect to mental health and substance use benefits under their plans. While the application of these rules is not always clear due to the differing types of treatment regimes, the DOL continues to offer examples demonstrating that those different treatments must meet the same standards in operation as they do on paper. Moreover, the DOL has investigators and teams actively enforcing the provisions of the MHPAEA, so employers need to be cognizant of the rules. However, the investigators at this point are permitting noncompliant plans to reassess claim denials and make the participants whole without additional enforcement penalties, so employers will likely find cooperation with the investigators to be a manageable course of action. Lockton comment: Lockton offers a pair of compliance assessment services that assess a plan and plan sponsor’s compliance with a variety of ERISA requirements, including MHPAEA requirements. Our ACE Simulated DOL Investigation is a deep-dive look at a healthcare plan, employing methods (including checklists and interviews of plan fiduciaries) designed to replicate an actual DOL investigation. Our Medical/Cafeteria Plan Wellness Checkup is a quick snapshot look at a plan’s written terms and its required reports and disclosures. Contact your Lockton Account Service team if you have interest in discussing either of these services.